When it comes to the PC graphics space, Radeon is far behind NVIDIA. Their RX Vega line of desktop graphics cards, released in 2017 and meant to offer high-end performance at an affordable cost, ended up being a disappointment to most, unable to keep up with NVIDIA’s GTX 1080 (let alone the company’s newer RTX 2080!). Meanwhile, the company’s Polaris architecture, which powers their more mainstream offerings, is getting pretty long in the tooth. Polaris first appeared with the RX 400 line of cards in 2016 and then was refreshed last year with some minor tweaks last year in the form of the RX 500 series. Then, in 2018, all we got from the company was a “new” RX 590 graphics card – a (hopefully) final revision to Polaris featuring a more efficient 12nm fabrication process. Yet, despite this lackluster performance from the red team, things may actually be looking in their favor right now. NVIDIA’s new Turing architecture only exists for the high end, with even their “lower tier” RTX 2070 costing a minimum of $499.99. 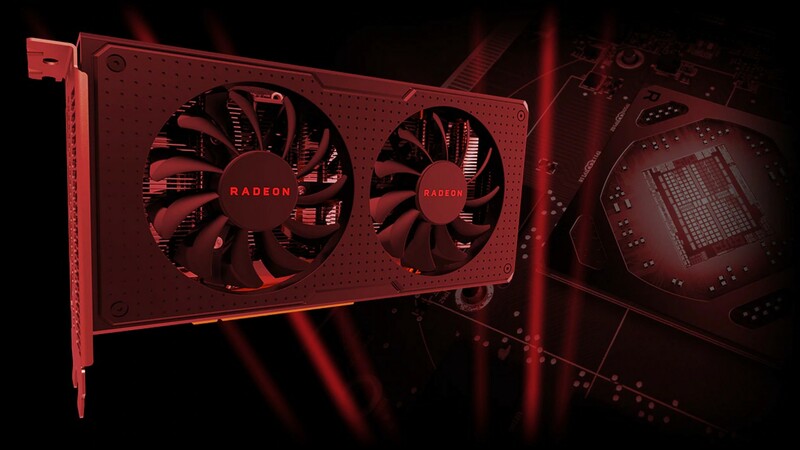 This means that there’s a huge gap in the market that’s ready for the taking, and Radeon seems to know that the mainstream market is where the majority of the consumer money lies. With no RTX 2060 or lower even announced yet, if the rumors circulating various tech sites are true, Radeon could really be in a great position to take some of the market away from NVIDIA. We’ve already known that Navi would be the next major architecture from the company for some time now, slated for a 2019 debut, but recent rumors from reputable sources suggest we may be seeing it sooner rather than later. Supposedly, RX Navi will make its debut on a 7nm process and feature GDDR6 memory on the RX 3080, 3070, and 3060. And yes, you read that right – there’s a good chance they will be using the RX 3000 series naming convention in order to better align their GPU naming system with their CPU naming convention given that the Ryzen 3000 series CPUs will also make their debut in the first half of 2019. RX 3080: At $249.99, this card could feature 8GB GDDR6, a 150W TDP, and performance that’s about 15% higher than the RX Vega 64. RX 3070: At $199.99, this card could also feature 8GB GDDR6, but with a 120W TDP and performance on par with RX Vega 56. RX 3060: At $149.99, this card could feature 4GB GDDR6, a low 75W TDP and performance comparable to the RX 580. If that pricing-per-performance holds true, these would be some fantastic cards from Radeon. However, none of this is official yet and we will likely not know anything more until CES 2019 at the earliest!